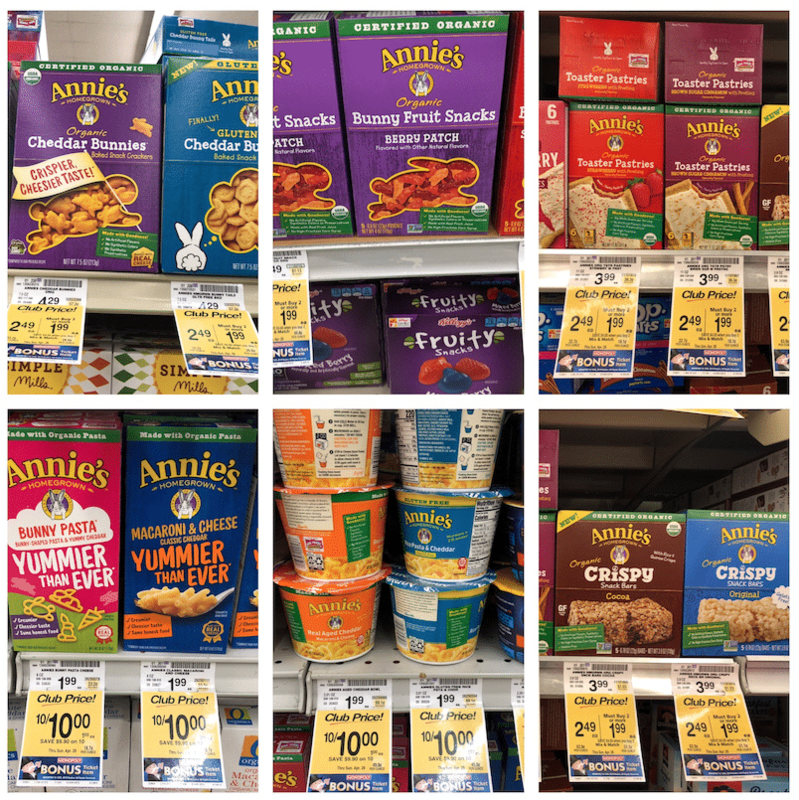 Safeway is THE destination to stock up on Annie’s Organic Snacks this month! Why? 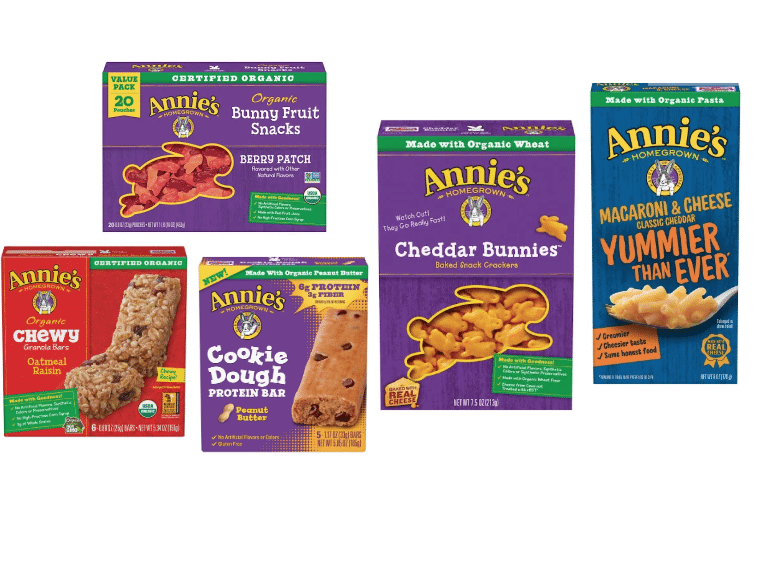 Well all month long, Annie’s Organic Snacks are on sale for just $1.99 when you buy 2 as part of the April Big Book of Savings. 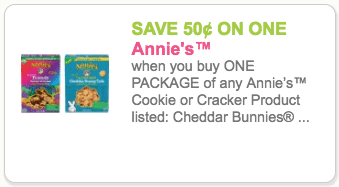 This is already a stellar price, but there are 2 new Annie’s Snack coupons that came out today in the new coupons.com offers that will bring your price down even further and you can really stock up at just $.99 for cheddar bunnies crackers or cookies and Annie’s fruit snacks. 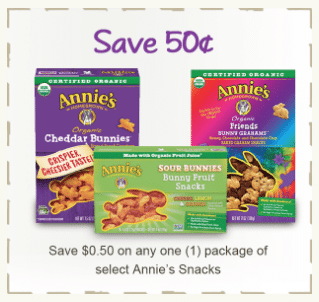 The Annie’s coupons on their website have also been reloaded for the month of April, so you can get 2 prints of each of those coupons plus 2 prints of the coupons.com coupons linked below and use your Just for U Digital coupons to STOCK UP on your favorite Annie’s Organic Snacks. 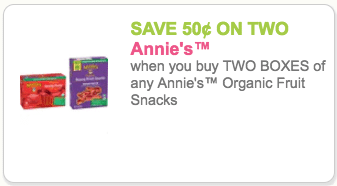 While the sale lasts all month, the coupons will likely disappear by the end of the week as these are always super duper popular snacks for kids! See below for the all the hot deals.